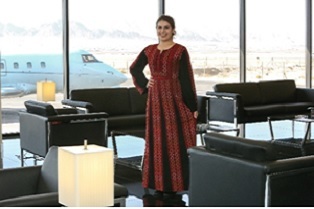 Located at the Hashemite Kingdom of Jordan, Kingdom of promising opportunities, Jordanian Private Jets Services decided to take that privilege and start It's story of success. The Hashemite Kingdom of Jordan is a country with a rapid developing economy which makes it an open invitation for international investors. In addition to it's strategic Location at the heart of the fertile crescent, making it a distinctive connecting transit hub, between Europe, the Levant and the Arabian Gulf. 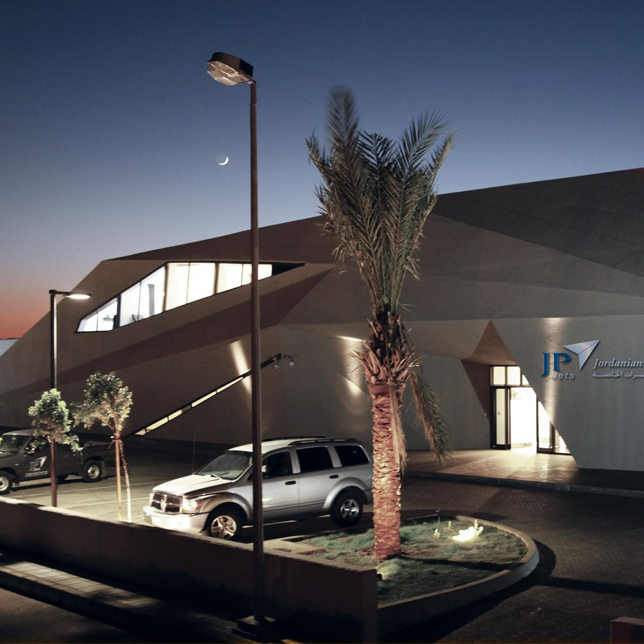 JPJets establishment started in 2001 with appreciation for quality of services and customer satisfaction which lead JPJets to it's position as one of the aviation leaders. The operations team started with a small hardworking team, and through it's journey of success and growth, the team expanded to a larger number in addition to an expansion of business to cover the Middle East and Europe. 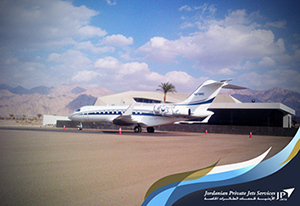 Jordanian Private Jets Services is considered one of the first private companies in Jordan, which delivers value to it's customers by providing reliable and efficient aircraft's solutions in supervision, leasing and logistics support. Our mission is to exceed the expectations of private jet operators, VIP's, charter and cargo airlines by considering high standards, adopting best practices and sharing the responsibilities. To lead “aircraft services" sector in the Middle East & North Africa (MENA) region, relying on punctuality, proficiency and safety. 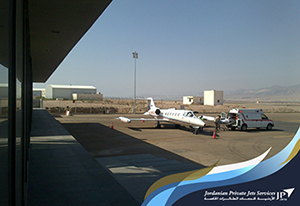 Jordanian Private Jets Services is considered one of the first private companies in Jordan, which delivers value to it's customers by providing reliable and efficient aircrafts solutions in supervision, leasing and logistic support. 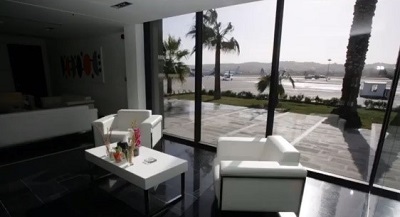 JPJets gladly provides handling services that exceed client's expectations. 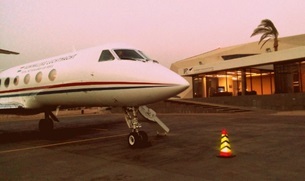 JPJets provides round the clock Air Charters to meet all travel requirements. JPJets guest relations coordinators help the client design their ideal journeys , offering an end to end service beginning with the luxurious car awaiting the arrival of passengers and prearranging hotel booking in exclusive five-star hotels at competitive rates. Internal trips and historical excursions. 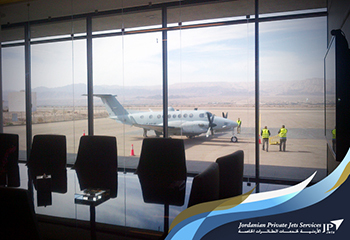 The high quality services provided at all Jordanian airports. Services provided to the clients are all on credit bases for more than 60 days with no extra charges for the credit facility. The catering supervision is provided on credit basis with no extra charges as the original invoice is sent to the client. JPJets provides round the clock Air Charters to meet all travel requirements from any Location to any Location in the world . 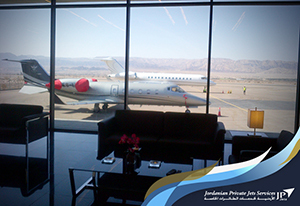 JPJets ultimate goal is to deliver the combination of convenience and efficiency to their valuable customers. A wide range of Aircrafts of long and short range distance , are being managed by JPJets according to agreements being made with operators world wide . JPJets provides exclusive services for the aircrafts according to the operators preferences with the goal of building and maintaining a long term relationship . 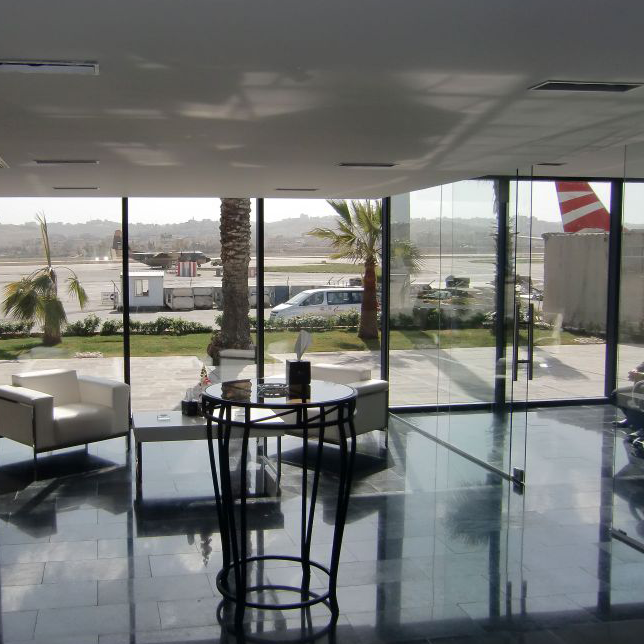 Throughout its experience in the Private Aviation Sector, JPJets foreseen the opportunity to enrich its range of services by adding the VIP lounge management service. 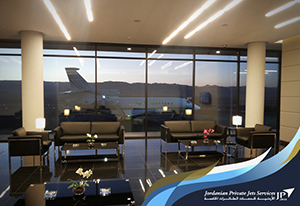 JPJets ultimate goal is to deliver the combination of As a start, JPJets has executed two projects, the first project was establishing a special terminal for private jets passengers, located at King Hussein International Airport - Aqaba which started operating since January 2013. 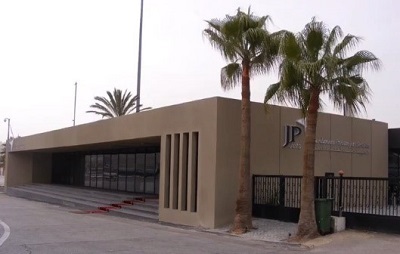 JPJets VIP terminal which has started operating since January 2013 is located at King Hussein International Airport on a 10000m2 piece of land , close to the Royal Pavilion . 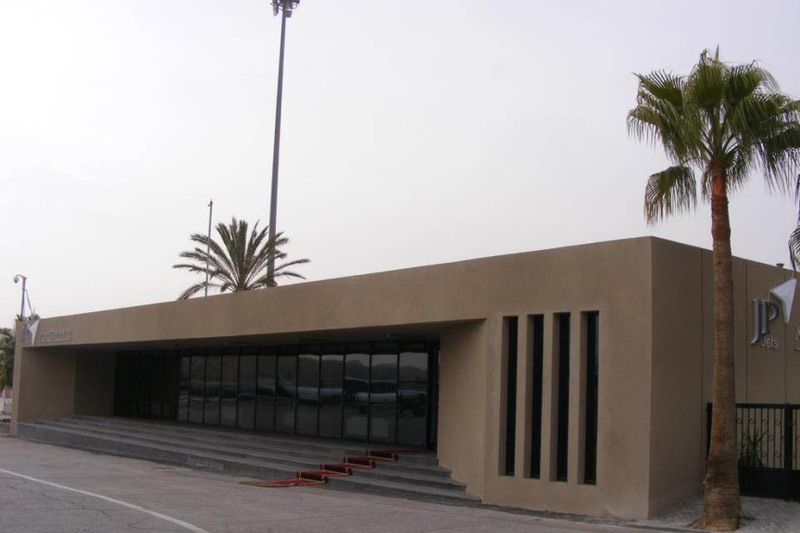 All ground handling services related to private jets arriving to Aqaba is provided at the terminal, utilizing trained staff , and all equipment required. 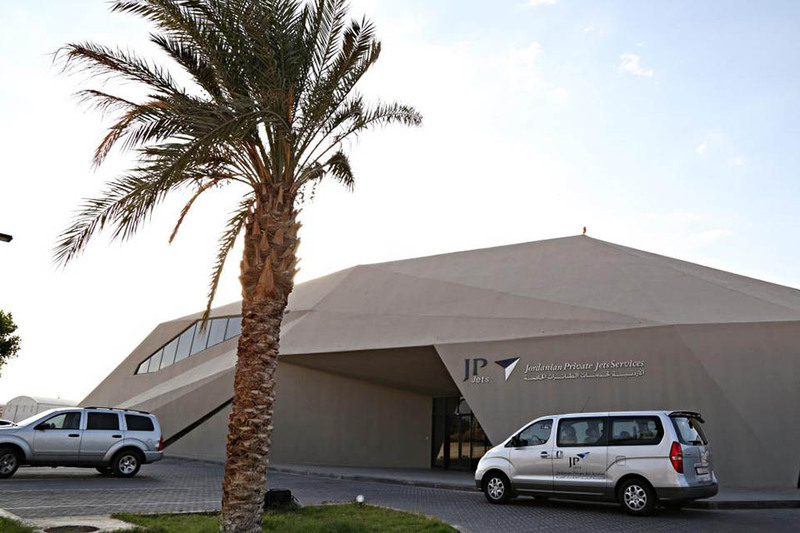 This VIP terminal is considered to be the first of its kind in the region, as a specialized terminal for private jets passengers, which is owned by a Private company. - Four Bedrooms for day use. 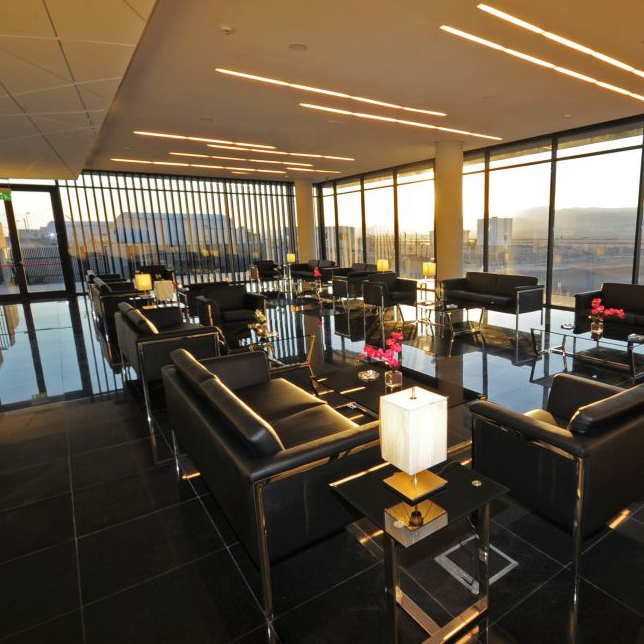 In addition to renovating & managing the VIP lounge at Marka International Airport , the project has also included adding new facilities to the lounge to provide a luxurious atmosphere to VIPs arriving to the Airport, and to compete with other VIP lounges in the region . Thank you for your earlier telephone calls and email. We were most delighted with the service received from JP Jets and notably how flexible you were with respect to the various and numerous flight time adjustments that. The South African Air Force has asked me to please pass on their sincere congratulations and thanks for a job well done on their recent operation to Amman. They said that the supervisor dealing with the flight was highly efficient. I would like to express my appreciation for all your coordination of the handling for the aircraft we had operating for Premier Aviation at Aqaba airport 10-13 OCT, especially the hard work of Sami and Mudar over the 4 days	. Thank you for your earlier telephone calls and email. We were most delighted with the service received from JP Jets and notably how flexible you were with respect to the various and numerous flight time adjustments that we requested. We would not hesitate to work with JP Jets in the future and would especially like to thank you, Noora, for your professional assistance and input which ensured that all three flights ran smoothly. The South African Air Force has asked me to please pass on their sincere congratulations and thanks for a job well done on their recent operation to Amman. 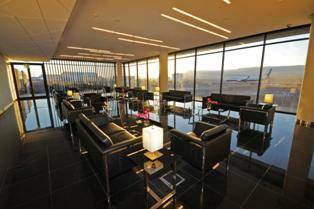 They said that the supervisor dealing with the flight was highly efficient and extremely friendly and professional. They are a difficult customer to please (from experience – due to their high standards) and I am pleased to say that JP Jets showed a level of professionalism and efficiency that mightily impressed them. You may rest assured that in Amman JPJets will remain the preferred service provider for all SAAF flights, and form the Johannesburg office, we will advise all our clients to use you as well when operating to Jordan. Please accept our thanks and looking forward to future good working relationship. It was certainly a hectic time when none of us had much sleep! But, everything worked out well and our passengers were all very pleased with the services. Thank you also for the kind thought of the souvenir gifts for our passengers on the B757; how marvelous they are! We are all intrigued as to how the patterns are created inside the bottles! Thank you also for my personal gift, it was very thoughtful of you and unexpected. We made some new friends I believe and I look forward not only to the opportunity to work with JPJets again but to visit Jordan again my self – but hopefully when I can have personal time to explore and enjoy your country. Thank you all again. Let me know if any of you ever get to London.